Loved by all of us here at Hookah Company, Libella Swing from Al Waha shisha tobacco takes the sweet flavor of orange, the lightly floral flavor of guava, and combines them with subtle undertones of cooling mint. Load a bowl and experience a unique hookah tobacco session. 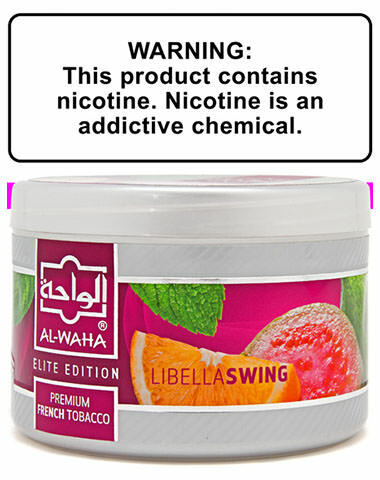 Libella Swing Al Waha Shisha Tobacco has a average rating of 0 stars out of 5 stars based on 0 reviews.